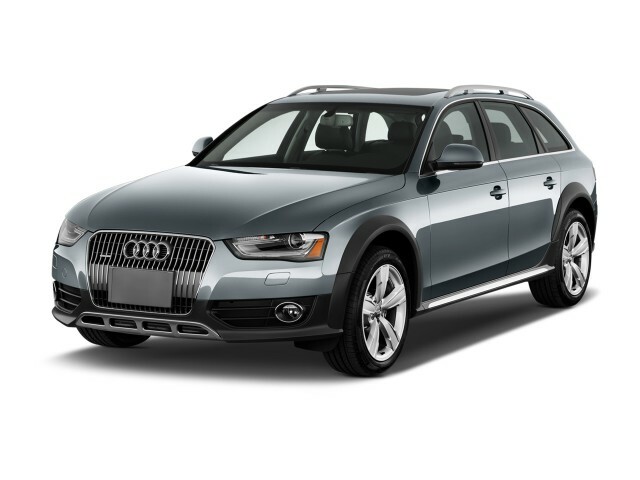 Choose the base Allroad with the $1100 Convenience package, the $3050 MMI Navigation package with Audi Connect, and $500 for sport seats and shift paddles, and you'll have the best the Allroad offers for about $45,000. A note: Audi Connect relies on a 3G signal for its nifty on-the-go information services, but you won't be allowed to bring your own wireless connection. Audi bundles T-Mobile data service with its hardware, and requires a monthly contract to provide that in-car connectivity. A perky turbo four, composed all-wheel-drive handling, and a high-quality cabin make the Audi Allroad the best A4 you can buy. While the rest of the planet went nuts for SUVs over a decade ago, Audi resisted. The German luxury carmaker stuck with its Avant wagons, conceding a little to the popularity of sport-utes with the 2001-2006 Allroad, an A6 Avant wagon with a little lift in its suspension and a touch of rugged trim here and there. 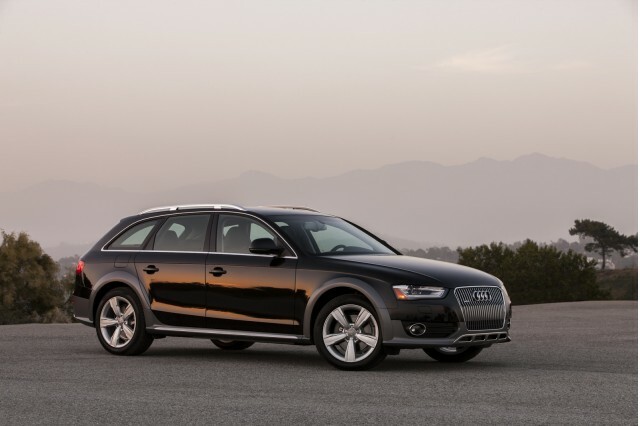 The Allroad's back for the 2013 model year, and if you avoided the SUV movement as it waxed and waned, you're now in luck. The Allroad's still basically a station wagon, with most of the talents of a comparably sized utility vehicle, while it strikes closer to carlike performance and looks than even Audi's well-conceived Q5 crossover. The Allroad is Audi's A4 Avant, cloaked under a layer of cladding and wearing some Timberland-style hiking shoes. It's unrelated to the first one, except in its canny size, price, and market position. 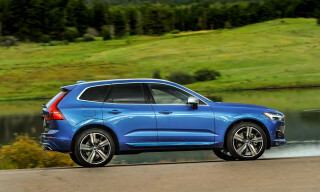 Audi of America chose to sell it this time around, instead of the pure station wagon, to bridge the gap in its lineup while it waits on the small Q3 crossover to arrive. It's a smart move, as the Allroad ends up being the best A4 you can buy, from its concise packaging to its crossover-like interior room, to handling we find better than the base A4 sedan. The Allroad is upstyled to connect the dots between the A4 lineup and the Q5 crossover, and it works, rather well. Audi's Outbacked the A4 Avant here--with its raised ride height, distinctive body cladding and aluminum exterior trim, the Allroad has a sporty stance that clearly resembles the A4 but has more presence, especially at the vertically ribbed grille. It wears the refinements applied to this year's A4 sedan and A5 coupe at the front--the headlights are trimmer than on last year's sedan and coupe, and the tall, single-frame grille has been toned down and chamfered at its top corners for a subdued appearance across the nose. Down low, the Allroad has wide fog lamps for a more substantial appearance. 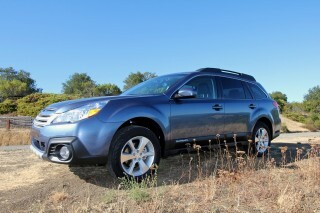 The subtlest of cues blur the line between crossover and wagon: the body cladding gets a matte finish on most models, but some Allroads wear colors that can be ordered with full gloss paint. Call it the Honda Element exception. Inside, the Allroad has a cabin identical to the one in the A4, with some minor controls reconfigured this year. Aluminum trim livens up the interior, and a choice from among three wood trims can replace the metal. Those pieces elevate the dark cabin nicely, and the A4's dash and controls have a high-quality look and feel that extends Audi's streak of excellent interiors. Count us among the fans of the rollers on the steering wheel that adjust volume and audio presets. The sole powertrain on the second-generation Allroad is VW/Audi's punchy 2.0-liter turbocharged four-cylinder. With 211 horsepower, it's teamed to a new eight-speed automatic transmission with sport-shift mode (and paddle controls on a sport package) and standard all-wheel drive. Audi promises 0-60 mph times of 6.5 seconds and a top speed of 130 mph. For a vehicle weighing about 3,900 pounds, the Allroad snaps to attention when the shift lever's moved to the right, and it's launched in manual mode. 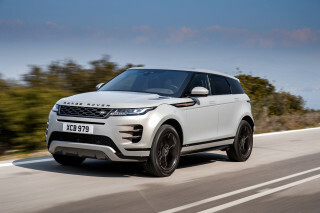 It'll hold individual gears until it calls out vocally for a manual upshift; in D, the transmission judders a bit on some two-gear downshifts, and upshifts a little early in search of fuel economy. Gas mileage, by the way, is rated by the EPA at 20/27 mpg, or 23 mpg combined--about the same as a Q5 with the same powertrain, unsurprisingly. The Allroad has the same independent suspension and electric power steering as the basic A4, but its handling is clearly better. Big 18-inch wheels and taller-profile tires give it better stability than the standard A4 can offer. 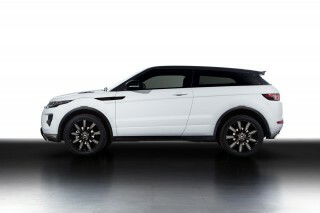 It has quicker, more responsive steering with just a taste of feedback. And though it rides about 1.5 inches higher, the Allroad has less body roll, while the stock A4 feels looser and more prone to lean through corners. Like the four-door, the Allroad can be fitted with dynamic variable-ratio steering and Drive Select, which tailors its electric power steering, transmission, throttle and shock settings for sporty or soft driving. Our past experiences with Drive Select have steered us away from it--it's difficult to find mutually agreeable settings between all systems, and it's an expensive option that's easy to pass up. It's not intended for more than casual off-pavement driving--a gravel road sounds about right--but the Allroad's stability control includes a special mode which allows for more wheelspin, in case it's stuck in muck and needs to extract itself. Ground clearance is up to 7.1 inches, and the Allroad has some modest skid-plate and underbody protection for light trailblazing. With the growth in size of the current A4, Audi says this Allroad is 2.3 inches taller, 0.5 inches wider, and has a longer wheelbase, more leg room and more head room than the former version. 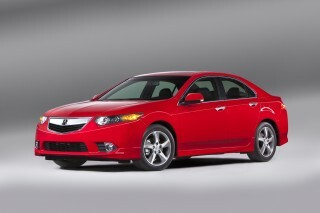 The optional sport seats are an excellent choice above the already good front seats. In back, the low, short bottom cushion nets plenty of head room but less comfort than you'd find in some luxury wagons. Cargo space rivals some of the biggest compact luxury crossovers at 27.6 cubic feet behind the rear bench, and the five-passenger Allroad's rear seats fold and flip for expandable storage space of up to 50 cubic feet. Priced from just over $40,000, the Allroad offers the usual standard safety features and has options for adaptive cruise control that can stop the car completely from speeds up to 19 mph; blind-spot monitors and a rearview camera are also available, as are rear-seat airbags. Since it's based on the A4 architecture, it's not yet fully rated by the Insurance Institute for Highway Safety (IIHS) or the National Highway Traffic Safety Administration (NHTSA). We've given the Allroad a preliminary safety rating of 8, as much for the A4's good safety record as for the Allroad's lack of standard rearview camera and Bluetooth at its price point. 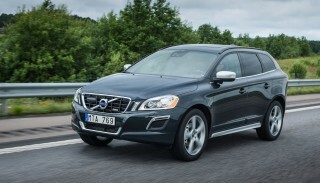 Visibility, however, is excellent, with the wagon body style and tall glass areas. Among luxury features, the Allroad's standard equipment list includes leather upholstery; aluminum interior trim; power front seats; a panoramic sunroof; satellite radio; and MMI, Audi's multi-media interface. 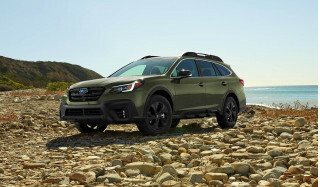 Options include iPod/USB connectivity; a power tailgate; 19-inch wheels and tires; adaptive headlights; Bluetooth; wood interior trim; 505-watt Bang & Olufsen audio; sport seats and shift paddles; and a navigation system. The Allroad is one of several 2013 Audi vehicles to adopt the brand's category-killing Connect suite of telematics. With a monthly subscription, Audi Connect customers can tap into a built-in 3G connection that turns the Allroad into a rolling wireless hotspot for up to 8 devices, and to enable Google local searches via MMI. The connection also feeds input to the navigation system to render maps from Google Earth and Google Street View in stunning, crisp detail. Other links to satellite data bring in real-time traffic and weather information. It's another $25 to $30 a month from yet another service provider--but it's one with eye-popping utility. This car is fantastic. Great space for hauling around your stuff. Comfortable ride. Can get out of its own way, too. Mileage is good. I bought it new in 2013 and haven't had any issues. Except for regular... This car is fantastic. Great space for hauling around your stuff. Comfortable ride. Can get out of its own way, too. Mileage is good. I bought it new in 2013 and haven't had any issues. Except for regular maintenance, I've had it to the dealer once when I got an error message that turned out to be software updates. Best combination on comfort, luxury, performance and utility yet.